The royal monogram is surrounded with lettering in French. Date below. 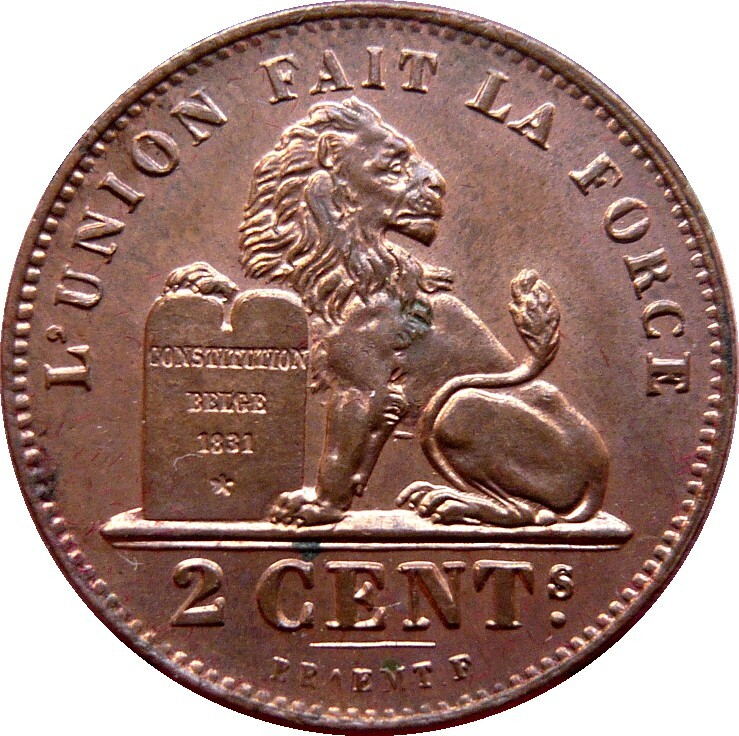 A lion, symbol of Belgium, with a paw over the Belgian Constitution dating 1831. Around is the Belgian motto in French. Value and designer below. 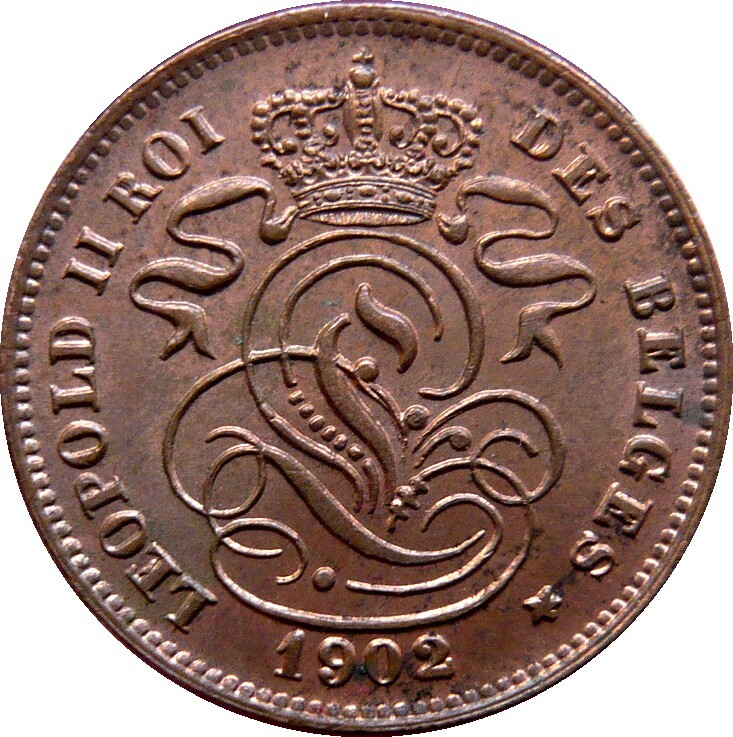 The 1871 coin probably wasn't brought into circulation, but struck in 1873 with year 1871. The following coins are reported by Krause, but not by Morin. Pictures would be appreciated. 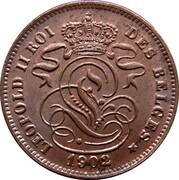 The 1869 coin with plain edge. 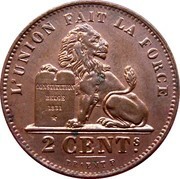 The 1902 thin flan coin.